When you branch out into Japan, please designate Takihi CPA Office as reliable best partner in Japan. We offer the following services to clients at well-structured and reasonable price to settle the environment under which clients can concentrate attention on their businesses in Japan without any stress. Takihi CPA office is an associate member of ASNAF, an alliance of accounting firms in various countries across the ASEAN region. We set up speedily a corporation or a branch based on a client's request. Well-trained and dedicated staffs prepare bookkeeping in English. We prepare monthly or weekly management reports in English for internal use. For external use, we are able to prepare financial statements complied with Japan National Tax Law, Commercial Law and Securities Exchange Laws, also accounting report such as International Accounting Standard according to clients' needs. Well-trained and dedicated staffs calculate payrolls according to Japanese Law; also we can conduct formalities of social insurance. Calculations of overtime work payroll, time totaling of part-time employees, preparing of payroll regulations and other burdensome paperwork are all available. Based on accumulated knowledge and experiences, we cut down your tax to be paid within the scoop of legality. Also, we can file national tax, local tax, consumption tax and individual income tax returns of Japanese corporation executives with tax authorities. Mergers and acquisitions (M&A) is being viewed as an effective measure for a corporation to growth among severe competitions. We believe that this activity has increased in Japan. We offer financial due diligence, business evaluation and all other related services of any corporation targeted. Also, we are able to support the preparation of various kinds of written contracts (Japanese & English) in conjunction with lawyers. When audit of Japanese corporation or branch by external auditor is needed, we can conduct it or introduce clients to a proper audit corporationor a certified pubic accountant. A stock corporation needs to have at least one statutory auditor in Japan and we are able to act it. Also, we support regular registration of auditor and director with registration office, holding a general meeting of stockholders and a board of directors and preparation of related minute books. He worked with ChuoAoyama Audit Corporation, a member of Price Waterhouse Coopers as a senior partner during 1975 through 2002 and retired from the partnership of ChuoAoyama Audit Corporation in January 2003. 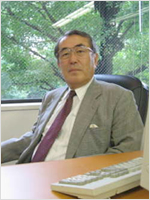 He joined in Price Waterhouse Tokyo Office in 1970. Worked for Price Waterhouse as an audit manager during 1972 through 1975. He entered his name in the list of members of the Accounting Standard Committee. He established Takihi CPA Office in January 2003.